If you have a few minutes to spare, be sure to watch this video, which is part of the BBC’s “The Power of Asia” series. Day one included a full slate of informative presentations, but the suite that leaped out to me were a mid-day trio providing snapshots of critical metals policy in Japan, the European Union and the United States. Jaakko Kooroshy of Chatham House walked delegates through the European situation, and David Diamond of U.S. Department of Energy worked masterfully through the U.S. landscape. (DoE remains the leading U.S. Government department in its efforts to deeply understand the critical materials crisis) The contrast in both cases with the presentation by Japan’s Yasushi Watanabe was striking. While the U.S. and EU compile lists, assemble data, and sift information, Japan’s government and industry are acting — entering joint-ventures, co-partnering, negotiating off-take agreements for future metals production in a range of countries. 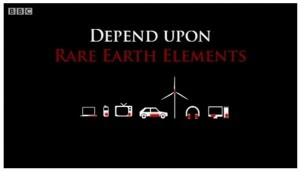 Regarding the Rare Earths, Japan’s “end user” companies are already engaged in off-take agreements with Molycorp in the U.S. and with Australia’s Lynas. Japanese automaker Toyota is even co-venturing in India, in Vietnam alongside Sojitz, while Sumitomo has joint-ventured with Kazakhstan. Having essentially no resources of its own to develop, Japan has moved immediately to its sole solution: surety of supply and diversification to diminish dependence on China (recall last year’s de facto Rare Earths embargo, triggered by a territorial dispute over the East China Sea). While the EU has some member countries with mining traditions and potential for some critical metals development, my own sense is that — aside from the EU’s DG Enterprise — “Europe” sees itself as having moved beyond mining; they’ll consume metals and minerals mined elsewhere but have no real appetite to source supply from within the EU itself, even when the opportunity is there. That puts the U.S. somewhere in between: we’re resource-rich compared to Japan and Europe, but we’re nowhere near Japan’s activist-mode in mobilizing government and industry to address potential critical metals disruptions. Historically, in terms of responding to crises, the American paradigm is slow to awaken, yet rapid once roused to act. Russia to rethink prospecting policies in Africa?